Spanish broom grows more than head high, with cylindrical rush-like branches that are green when young and turn brown as branches mature. 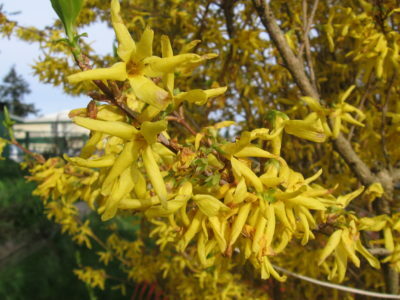 Leaves are present on the plant from February to early June and are about half an inch long. 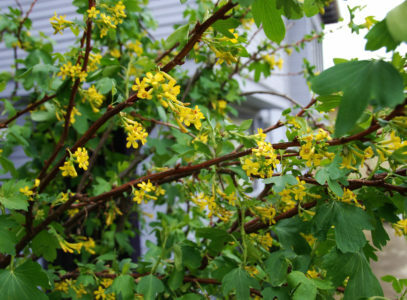 Large (an inch or more), light yellow, pea-like flowers appear on outer canopy branches in late spring. The seed pods are abundant and dark brown when mature. Pods split when dry, and the two halves of the pod twist into a spiral shape, dropping the seeds. It is native to the southern Mediterranean region of Europe, including Spain, Morocco, the Canary Islands, Madeira, and the Azores. 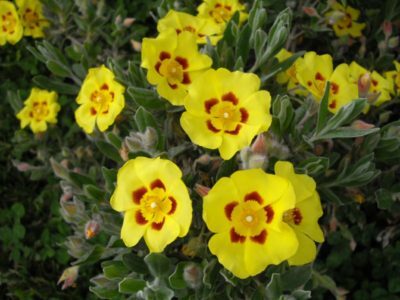 It was introduced into the ornamental trade in California in 1848 in San Francisco. 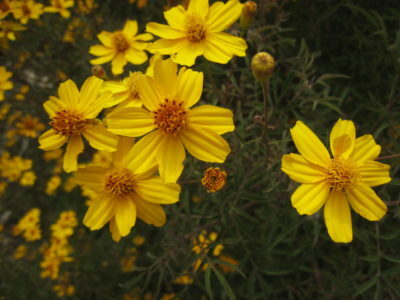 It was planted along mountain highways in the late 1930s and by 1949 had established a population in Marin County. How does Spanish broom spread? It spreads by producing an abundant amount of seeds that are transported by any type of erosion or by rain wash. It produces seeds after 2-3 years of growth. One plant can easily produce 7,000 to 10,000 seeds in one season. The seeds fall near the plant and can remain viable in the soil for 5 years. 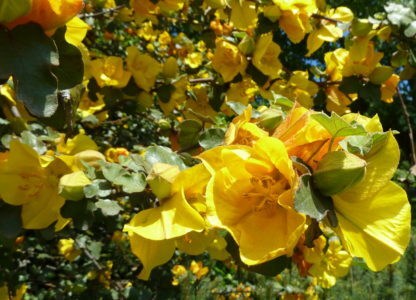 Where is Spanish broom found? 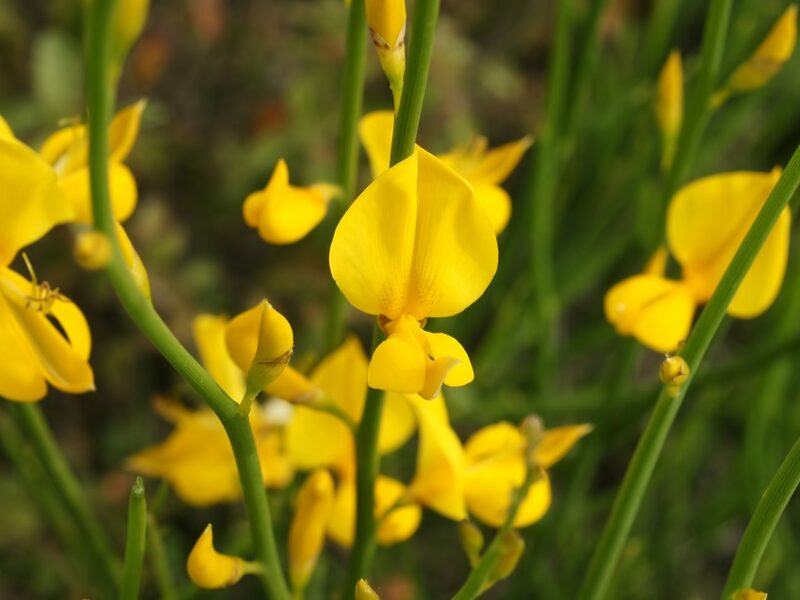 Spanish broom is found in the North Coast, San Francisco Bay region, Sacramento Valley through the South Coast counties to the Mexican border, in the western Transverse ranges, and the Channel Islands. It is common in disturbed areas such as eroding slopes, river banks, road cuts, and abandoned lands. It can also colonize post-burn chaparral. 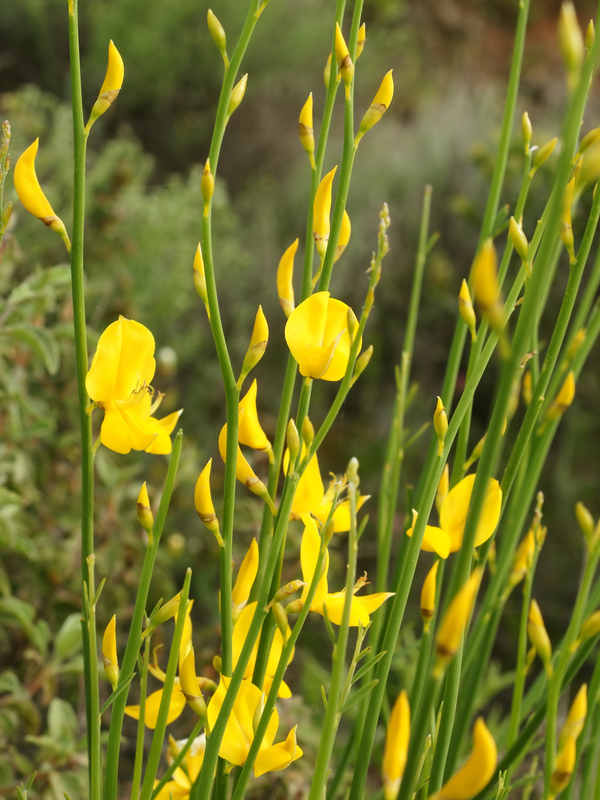 What problems does Spanish broom cause? It rapidly colonizes disturbed habitats and forms a thick shrub community that prevents native chaparral species from growing. Mature stands of Spanish broom form a tangle of dead wood and are a fire hazard during the dry season. It is also poor forage for native wildlife.